Dawn Services, parades and Anzac biscuits are coming to a town near you, on Thursday the 25th of April. Get up bright and early to pay tribute to those who’ve served and participate in one of these Anzac Day events across the country. Watch one of many Anzac Day Parades across the country. The Australian War Memorial hosts the Dawn Service from 5:30 am. However, from 4:30 am you’ll hear readings from letters of Australians who experienced war firsthand. Following that, book tickets for the Anzac Day breakfast, featuring speeches and presentations from guests. Then, attend the National Ceremony for a commemorative address, the veterans’ march and the sounding of the Last Post. There are plenty of events to choose from in Sydney. Start the day at The Cenotaph in Martin Place at 4:30 am for the Dawn Service, including an Ode of Remembrance and Last Post bugle call. See the traditional Anzac Day Parade on Elizabeth Street in the CBD, from 9:00 am. Afterwards, Hyde Park hosts a Commemoration Service at the Anzac Memorial, from 12:30 pm. Suburbs across Brisbane host Dawn Services, including the largest one at Anzac Square in the CBD. 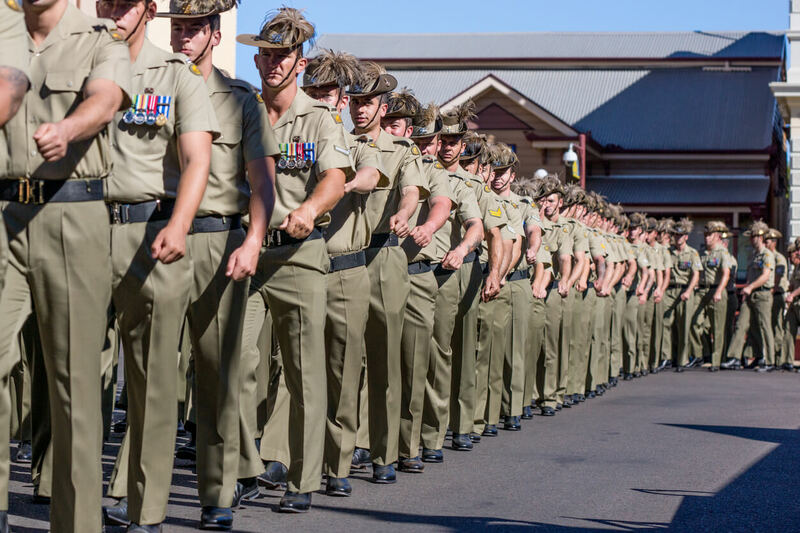 Celebrating it’s 103rd anniversary this year, the family-friendly Anzac Day Parade will be lead by the Royal Australian Navy, starting from 10:00 am on Adelaide Street. Join in with the traditional tribute to men and women who’ve served the country, at Flemington Racecourse. Start your Melbourne Anzac Day from 6:00 am at the Shrine of Remembrance on St Kilda Road. The Anzac Day March starts at 9:00 am on the corner of Swanston and Flinders Streets in the CBD. Join in with the traditional tribute to men and women who’ve served the country, at Flemington Racecourse for ANZAC Day Raceday. 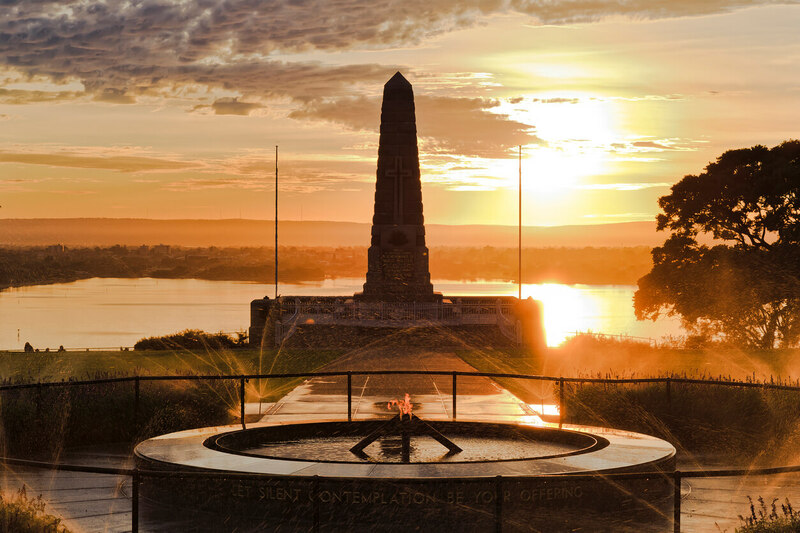 The South Australian National War Memorial hosts the Adelaide Dawn Service from 6:00 am. Following that, head to the Anzac Day March on King William Road at 9:30 am and Torrens Parade Ground for food, a pipe band and Two Up. From 10:00 am, the Union Hotel kicks off its annual Anzac Day Street Party, with music and entertainment. Perth’s State War Memorial for sunrise and sunset services. Kings Park is the place to be in Perth, from 5:50 am for the Dawn Service. 9:00 am announces the start of The March, along St Georges Terrace and Victoria Avenue. You can also attend the Sunset Service on the 24th, from 5:00 pm to 5:30 pm.